How many of you have heard this statement just before that first whack from your Mom or Dad, “I am doing this for your own good”? Did you believe them? As I shared last week, there are consequences to sin. 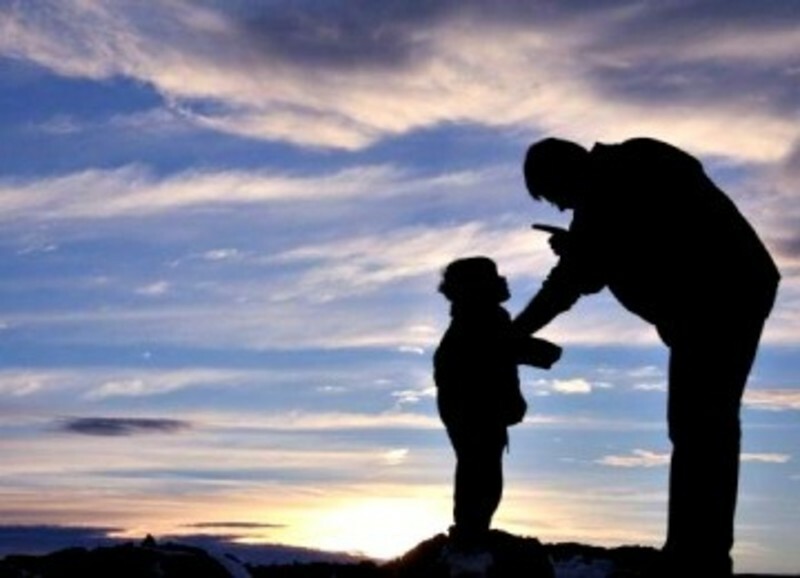 When I correctly disciplined my children, I would tell them why I was going to spank them; then spank them, then spend time telling them I loved them and what action they should take in the future, and then pray with them. I did this because I wanted them to know what they had done wrong so they could learn from the discipline and NOT DO IT AGAIN! That is exactly what the Heavenly Father will do when His children have been disobedient! He loves us. He has given us eternal life. He walks with us and He talks with us. He is there for us and with us! He has a home in Heaven prepared for us. And how do we repay Him? We act like children, by living life our way, by ignoring what His Word tells us not to do, by refusing to do what His Word tells us to do, by living a life in direct opposition HIS WILL! Then comes the consequences of our sin, but God does not abandon us. He continues to love us and disciplines us so we will NOT DO IT AGAIN! Hebrews 12:3-11 Consider him who endured from sinners such hostility against himself, so that you may not grow weary or fainthearted. In your struggle against sin you have not yet resisted to the point of shedding your blood. And have you forgotten the exhortation that addresses you as sons? “My son, do not regard lightly the discipline of the Lord, nor be weary when reproved by him. For the Lord disciplines the one he loves, and chastises every son whom he receives.” It is for discipline that you have to endure. God is treating you as sons. For what son is there whom his father does not discipline? If you are left without discipline, in which all have participated, then you are illegitimate children and not sons. Besides this, we have had earthly fathers who disciplined us and we respected them. Shall we not much more be subject to the Father of spirits and live? For they disciplined us for a short time as it seemed best to them, but he disciplines us for our good, that we may share his holiness. For the moment all discipline seems painful rather than pleasant, but later it yields the peaceful fruit of righteousness to those who have been trained by it. There are consequences for sin when we choose to disobey or others disobey, but God is not the author of evil. On the contrary, everything God does is good. He is love. To deliver us from evil, God disciplines those He loves for their benefit and blessing. When pain touches our lives, God grieves, but He is not inactive. He offers forgiveness through faith in Jesus to all who sin. His sustaining power is available for those who suffer. God is able to turn any problem, even those brought on by evil choices, to work toward the accomplishment of His purposes and for our benefit. Job was considered righteous and suffered not because of his own sin, but from attacks of Satan. God used the suffering caused by Satan to discipline and benefit Job. Job 5:17 Blessed is the one whom God corrects; so do not despise the discipline of the Almighty. Likewise, we are encouraged to remember Jesus, who suffered not because of His own sin but for ours, so that we will not grow weary and give up. Whenever we experience God’s discipline, we have an example in Jesus to look at for comfort and strength in our times of trial. Jesus did not look forward to the day He was crucified, and even He prayed that if there was any other way to fulfill His Father’s plan, let that be. But Jesus did not quit, He did His Father’s will. John 15:1-2 I am the true vine, and my Father is the vinedresser. Every branch in me that does not bear fruit he takes away, and every branch that does bear fruit he prunes, that it may bear more fruit. The exhortation not to treat discipline lightly is constantly needed because we have an inborn dislike of discipline and never more so than today. This is all the more evident when it is the discipline of the Lord. To many, the concept of God’s loving discipline is a contradiction, since they have a poor understanding of the character of God. It is because they do not naturally recognize the need for suffering that they lose faith when they are disciplined. They cannot see the long-term benefits, nor the love of God for them. The concept of love and discipline together is hard to comprehend, but it is true, just like our parents said. Unfortunately, we don’t have to look far to see in society today what can happen when our children go undisciplined. In some homes the children are in control, and in many of our schools today the children are in control. If God were to allow us to go undisciplined, eventually we would be in control, and then we would be doomed. 1 Corinthians 11:32 But when we are judged, we are disciplined by the Lord so that we will not be condemned along with the world. The writer of Hebrews is telling us that we are to not only accept God’s discipline, but also look forward to it. If we are not being disciplined, then we are not God’s child. One of His goals in disciplining us is so we share in His holiness. It takes a lifetime of discipline to get there, but God’s goal is nothing less than union with Himself. If we don’t give up because of the pain, before long we will discover a closer relationship with God and have His joy and peace. During the time of discipline, we may not appreciate it. But in God’s time, we will see that He only allowed it for our good. God knows what each and every one of us need to draw closer to Him. When we are under conviction of sin or under hardship because of life in general, we need to remember that in the long-term, we will look back and be thankful for God’s discipline. So if you are feeling the hardships, or sufferings of this life, don’t quit on God. He is not going to quit on us when we fail Him. And remember not to look at our problems as God neglecting us. God was, is, and always will be there to comfort us. So instead of complaining, let’s just ask Him for His strength, and His comfort to handle whatever it is we are going through. There are consequences when we sin, but those who have put their faith in Jesus do not suffer the wrath of God for their sin. The Lord’s wrath against sin was placed on Jesus as He endured being crucified upon a cross as punishment for the sins of the world. Since Jesus took the punishment for our sin, the believer in Christ cannot be condemned, but he can be chastised. As Christians, we now stand in a new relationship—that of a child to his parent. And as a child, we will be chastised on account of disobedience because our Father loves us. He is not getting us back, but He is lovingly drawing us back - drawing us back into His will, drawing us back from that which will destroy us, and drawing us back towards His holiness. He doesn’t want us to do it again. Our Father has a better life for us than a life of sin and its consequences. The absolute worst thing we could do when the disciplining hand of God bears down is to shrink back and recoil from His Almighty grace. Our hardships come about in order to cause us enough discomfort and turmoil that we stop our destructive behavior, yearn to live life as God desires, and purify our character. This is the purpose of discipline. Discipline is an instructor, a mentor, and a teacher. Discipline exerted upon the life of God’s people is meant to draw us away from what will cause us harm and lead us into the fullness of God’s presence each and every day, and in every way. Romans 5:1-4 Therefore, since we have been justified through faith, we have peace with God through our Lord Jesus Christ, through whom we have gained access by faith into this grace in which we now stand. And we rejoice in the hope of the glory of God. Not only so, but we also rejoice in our sufferings, because we know that suffering produces perseverance; perseverance, character; and character, hope. And hope does not disappoint us, because God has poured out his love into our hearts by the Holy Spirit, whom he has given us. You and I may not understand the "why" of what we are going through, but when those times come we must lean upon the knowledge that we do possess - the knowledge that God has demonstrated His love for us by placing all of the punishment that was due us on His one and only Son, our Savior. God is good, and His discipline, though sometimes not understandable, is good in all of its aspects in our lives. Therefore, do make light of the Lord’s discipline. Otherwise, we will most assuredly lose heart and grow weary. We will miss His training, the molding of our character, and the correction of our destructive ways. In addition, we may have to repeat the lesson again. There are so many ways to "make light" of the Lord’s discipline in our lives. Some dismiss our struggles as just the circumstances of life that really have nothing to do with God. Some believe that the difficult times we go through are because of others. Some simply believe that life is meaningless and this difficulty is just another example of how pointless it all is. Be assured that any conclusion we reach other than seeing the hand of God guiding, correcting, teaching, and molding us into the image of His holiness will only lead to our becoming weary in life. It is not a pleasant thing to be confronted by a Holy God about sin and transgression in our life. But the purpose behind the confrontation is beautiful! When we stop and think how amazing it is that God loves us enough to give us an opportunity to return to Him, it should bring joy to our heart! God disciplines us, His children, for our benefit, because He loves us. I hope and pray that the Lord has opened your eyes to the grace that He has showered upon your life and mine as He has chosen to discipline us, teach us, and correct us so that we might grow closer to Him. I hope and pray that those times in your life when you wondered where God was are now clearer to you than they ever have been. I pray that this morning you might see how much God loves you and submit your life to His Lordship by accepting Jesus as Lord and Savior of your life.